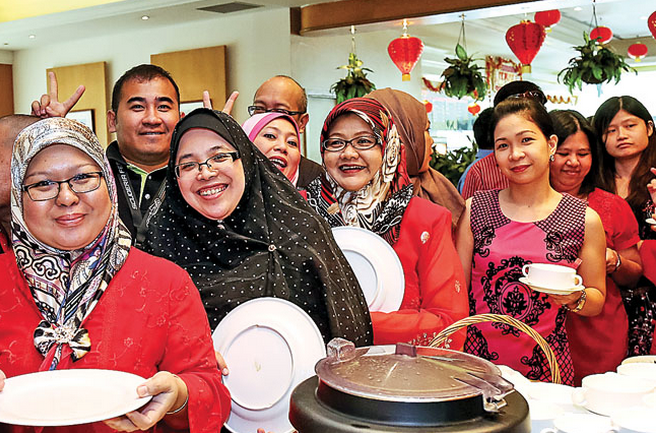 IN LIGHT of the ongoing festive spirit, Brunei Press Sdn Bhd yesterday hosted a Chinese New Year (CNY) lunch reception for its staff, senior officers and heads of departments of QAF Brunei and its subsidiaries as well as other media representatives at Millennium Restaurant. General Manager of Brunei Press Sdn Bhd, Reggie See, in his welcoming remarks mentioned that the annual celebration aimed to foster closer ties between the staff from different departments in a festive atmosphere. The CNY celebration this year was a blissful one, with the colour red as the theme for the occasion along with a pleasant ambience welcoming the officers and staff of the company.